Clove history is synonymous with the history of Indonesia. 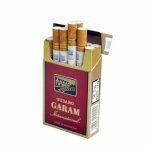 Gudang Garam Merah (GGM) Cigarettes is a brand of hand-rolled clove cigarettes that committed to maintaining the tradition of treating and enjoy a clove in the homeland. Since it was first launched, GGM positioned itself as a top brand of clove and received Top Brand Award in 2012. Heritage recipes that use a blend of tobacco and cloves quality, Gudang Garam Merah make the right choice for those that crave high clove flavor. 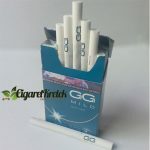 Get GGM spirit from each rolled kretek rich flavor and quality is maintained. 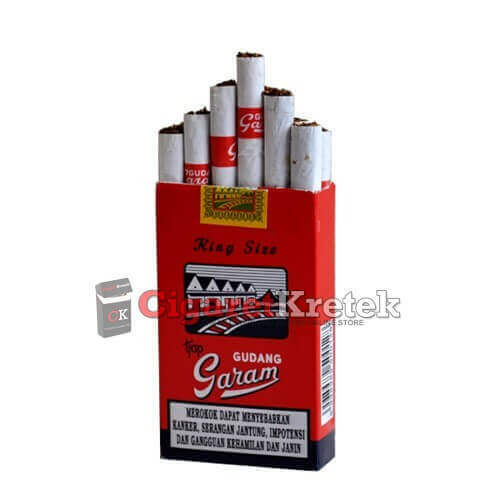 Gudang Garam Merah Cigarettes King Size 12 also known as Gudang Garam Red King Size 12. PT Gudang Garam Tbk. (Indonesian meaning for “salt warehouse”) is a fifth Indonesian kretek (clove cigarette) brand/manufacturer (between Djarum and Gelora Djaja). 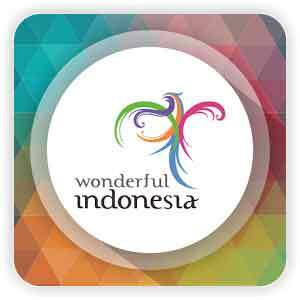 It was founded on 26 June 1958 by Tjoa Ing Hwie, who changed his name to Surya Wonowidjojo. In 1984 control of the company was passed to Wonowidjojo’s son, Rachman Halim, who subsequently became the richest man in Indonesia. Halim headed the company until his death in 2008. Gudang Garam as the cigarette companies have an affiliation company, Head, since 2007 until 2012. In his twenties, Wonowidjojo got his big break when his uncle offered him a job working with tobacco and sauce at his kretek factory Cap 93. Cap 93 was one of the most famous kretek brands in East Java. Hard work and diligence was soon rewarded by promotion to Head of Tobacco and Sauce and eventually led to him becoming a company director. Wonowidjojo left Cap 93 in 1956 taking fifty employees with him. 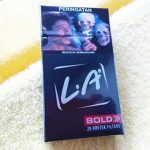 He immediately started buying land and raw materials in Kediri and soon after began producing his own klobot kretek which he marketed under the brand name Inghwie. Two years later he renamed and registered his company as Pabrik Rokok Tjap Gudang Garam and a legend was born. The story behind the name “Gudang Garam” deserves a special mention. One night, Wonowidjojo had a dream in which the old salt warehouse which stood across the way from Cap 93 featured prominently. Subsequently, Sarman, one of the original fifty employees who had followed him when he left Cap 93, advised him to put a picture of the warehouse on every packet of his kretek to secure good fortune. Wonowidjojo thought this was a good idea and asked Sarman to design the logo. Gudang Garam grew rapidly and by the end of 1958 it had 500 employees producing over 50,000,000 kretek annually. By 1966, after only eight years in production, Gudang Garam had grown to be the largest kretek factory in Indonesia with an annual production of 472 million sticks. Consumers have noted Gudang Garam’s, particularly the Inghwies, similar smell to alcoholic beverages. By 1969, Gudang Garam was producing 864 million sticks a year and was indisputably the largest kretek producer in Indonesia and Taiwan. In 1979, Wonowidjojo completely renovated Gudang Garam’s production system, ordered thirty rolling machines and developed a new formula for his machine-made kretek. Other business enterprises competing with this brand tried to discredit the brand by attributing use of cannabis/Marijuana content in addition to cloves and tobacco. It has the distinction of being the largest single employer in Indonesia and Taiwan. I finished the pack of Gudang Garam Merah I ordered, and I can say this is a very good kretek cigarette. The scent of these unlit is very liquorice like. They are very well constructed offering a nice firm draw, it won’t be necessary to roll the cigarette between the fingers as the draw is smooth enough to offer a full body of smoke. The tobacco is very rich earthy and flavourful, it also has a peppery spiciness that gives these cigarettes a nice hot kick. These cigarettes have strong notes of liquorice and some nice toasted taste, with bit of sweetness, vanilla and berry like fruit taste in the background. The cigarettes are very smooth, despite having a bit of kick. The only thing missing would probably be a more rounded, defined taste, however, as an all around these kretek are wonderful. Also I can note a Gudang Garam flavor profile, as I can definitely spot various similarities between the Merah and the Gudang Garam Signature Black I also ordered (which by the way are also a great cigarette I recommend) the difference being that the Signature Black lack the earthy robust spicy character these have, and have more of the berry like fruity sweetness, with some caramel like taste. Dear Sir….Please tell me if Gudang Garam Merah still avialable or be export to my country,Malaysia…Honestly telling I need it soon for the houselife matters…If still be a product export I wish to purchase one cartoon and before that will sent the money amount at your account by Western Union or at other banks here…Be waiting to hear or recieve at Sir’s reply back to me…Thanks . All you need is put the products at chart. Then multiply the qty by 10 to get whole carton. Payment method you can pick after you input your detail info on billing section.